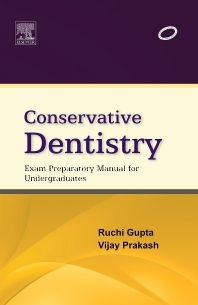 Conservative Dentistry: Exam Preparatory Manual for Undergraduates is a comprehensive exam preparatory manual written in question and answer format as per the syllabi prescribed by the Dental Council of India (DCI). Tailor-made answers to the frequently asked examination questions are provided. The book has more than 238 line illustrations, tables, flowcharts and boxes to make the text self-explanatory.